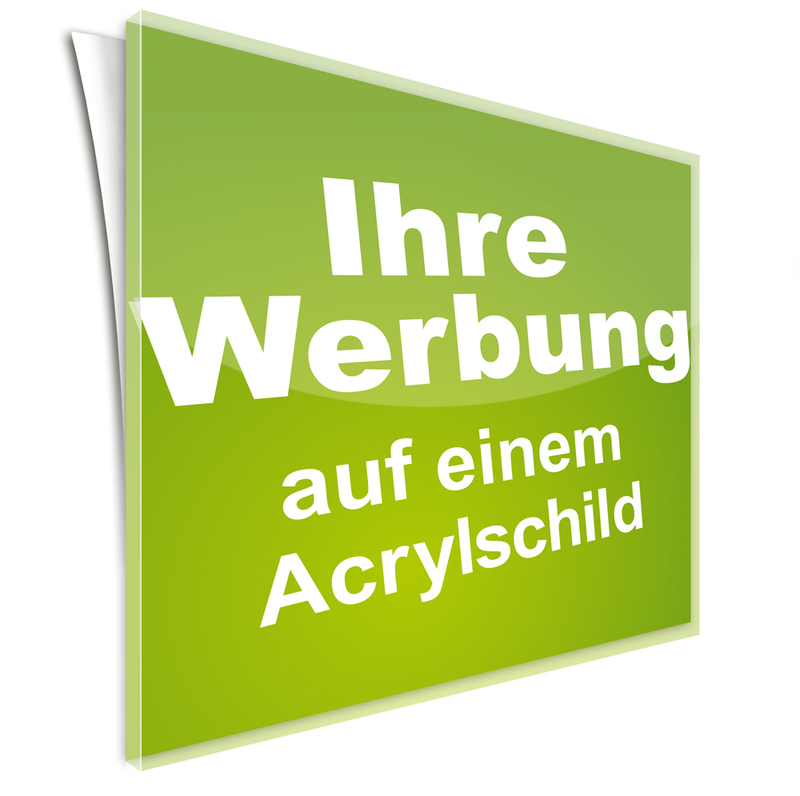 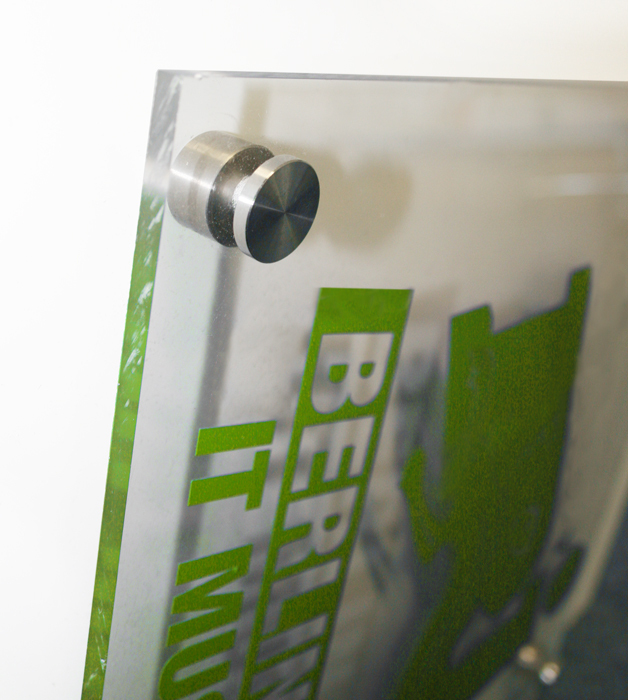 Acryl glass Signboard in in fixed sizes, directly printed on the material with CMYK direct print. 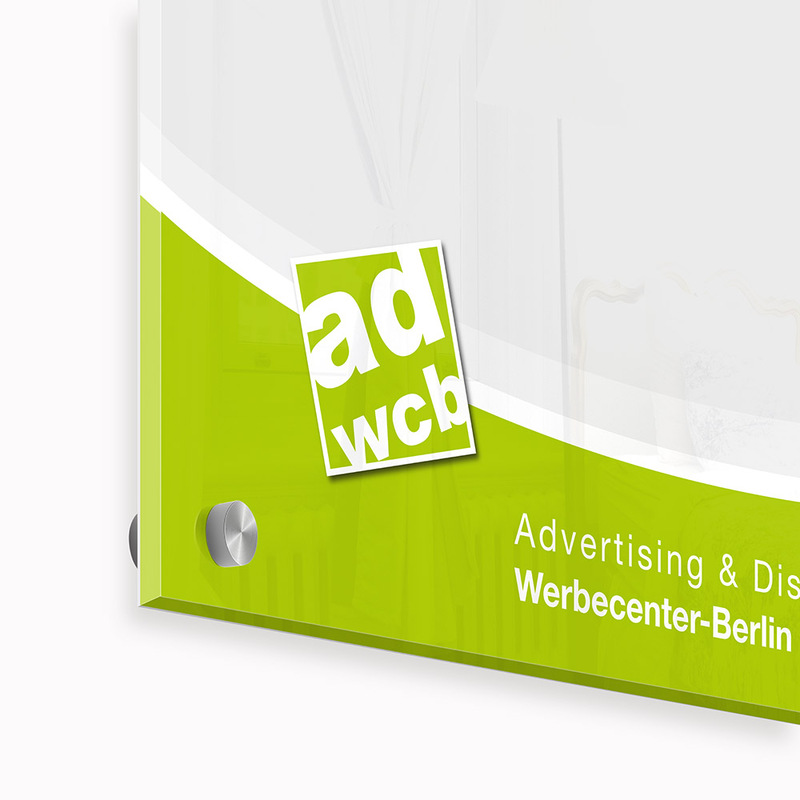 The durability is 4 years, it is usable for indoor and outdoor advertising. 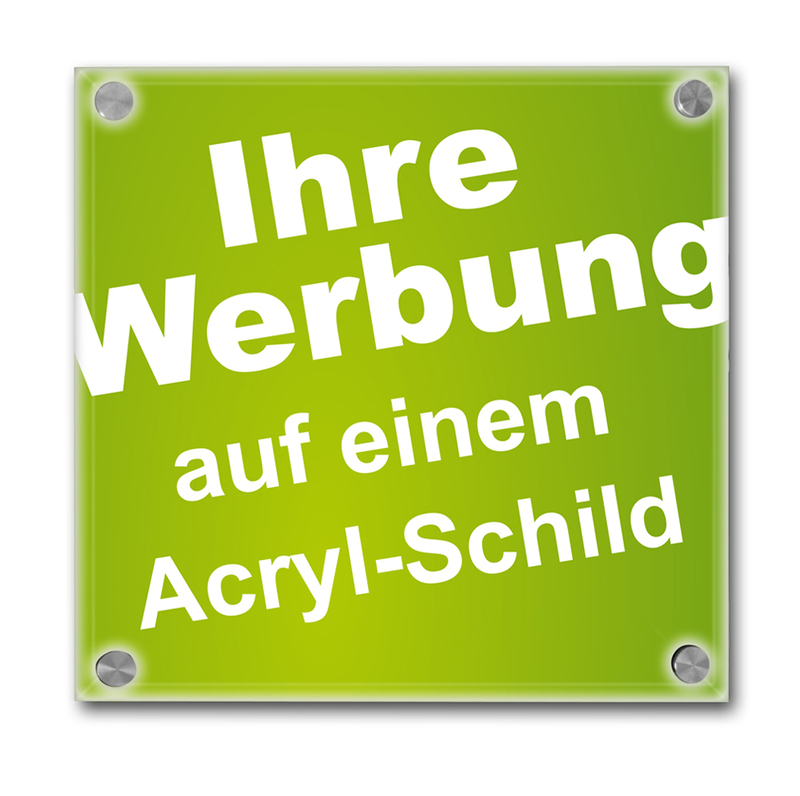 Picture is showing signboard with drilling and spacer, which you can choose optional. 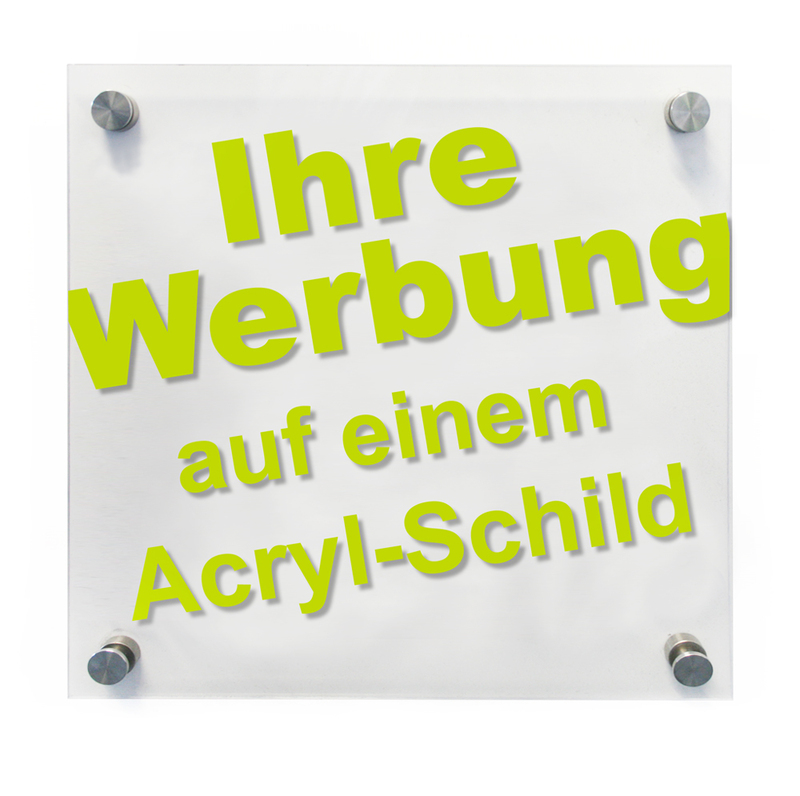 Drilling and spacer are not included but available in the category Accessories . 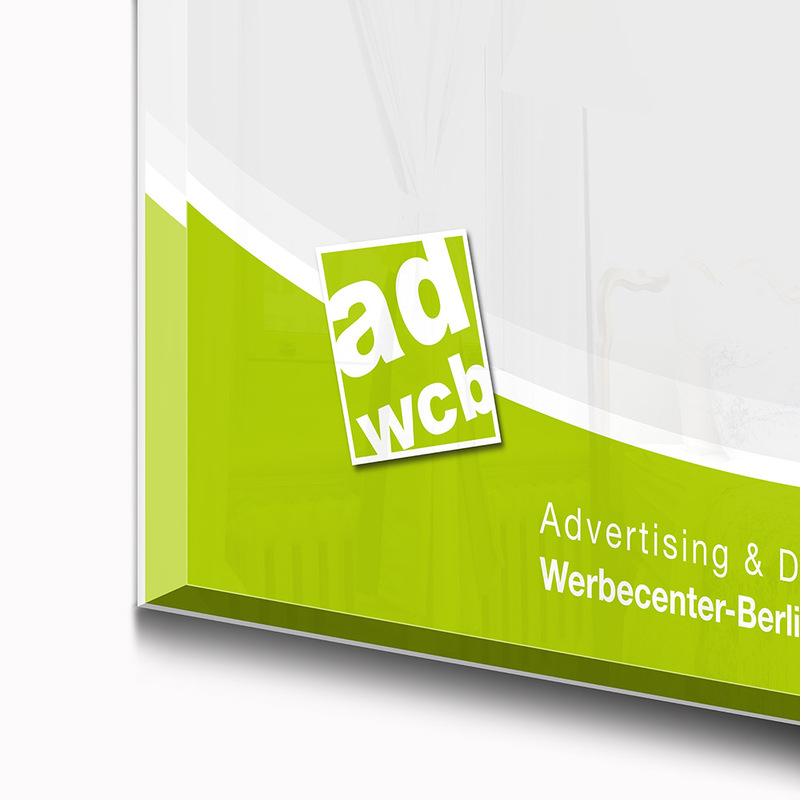 0/4 CMYK UV direct print (rear printing, mirror image) and deposited with a white sheet.